Any divorce process entails great changes that can impact the finances, logistics, and the lifestyle of everyone involved. During a divorce, it is vital to take the necessary steps to protect your rights and also your finances. A skilled attorney who can negotiate and fight for a fair resolution can help both parties handle the alimony issues that may arise during a divorce. The Law Office of Joseph M. Annutto can help you navigate any alimony issue as we fight to protect your financial future. Specific situations, such as a special needs child or disability of a spouse, may play a role in the alimony award. If a spouse sacrificed a career or education to raise a family, that may be factored into the alimony award. Generally, alimony is tax deductible for the paying spouse and is reportable income for the spouse who receives support. The duration of an alimony award varies based on the above factors. Because the amount and time period can be vastly different for each situation, it is important to understand the modification process. A former spouse can ask to modify an alimony award, both the amount and the duration, in certain circumstances. Anyone seeking alimony, or seeking to modify an existing alimony order, should have trusted advice and guidance from an experienced attorney. The attorneys at the Law Office of Joseph M. Annutto are highly experienced at both negotiating settlements and presenting cases at trial so as to garner the most favorable resolution for our clients. Our firm will fight to get the most fair and just alimony judgment and will be by your side every step of the way during the modification process. 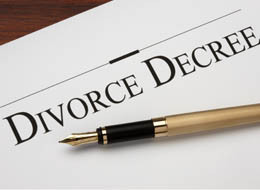 Divorce is a difficult and emotional time that involves a great deal of upheaval for everyone. It affects finances, family dynamics and personal relationships in an untold number of ways. The process may be distressing and overwhelming even when both parties agree to the process. Having a skilled and experienced divorce attorney by your side to manage your divorce will help protect your rights and ensure the process is as smooth as possible. A divorce will entail a mountain of decisions and each one is unique to the couple involved. Issues such as custody and property division, can grow contentious and complicated. Equitable division of property can be difficult to navigate. If a trial is held in the Family Division, a judge will hear both sides and ultimately decide issues including property division, parenting, and alimony. Other decisions may depend on the best needs of the children, size of the assets, and individual needs of both parties. You need an attorney to outline all of the decisions and issues you have recognized, and point out those that have been overlooked. Everything from filing the appropriate paperwork, meeting Court deadlines, and understanding the current law are essential parts of the process. An experienced attorney can navigate the legal system and ensure all motions and petitions are handled correctly. A divorce attorney from our firm will also apply negotiating techniques that can settle issues such as parenting and division of property. Annutto Law Office understands the emotional toll of a divorce and the personal nature of the decisions that need to be made. Our attorneys can handle your divorce needs with compassion and understanding, while working to protect your rights and your future as you move forward from a possibly painful time. We will effectively negotiate when possible and vigorously fight for the best resolution if litigation is necessary. With patience, dedication, and personal attention to your needs, our firm can be your best resource as you go through this major life change. There may be no other area of family law more emotional and life-altering than parenting and child support issues. The dynamics of any family dealing with child support issues is one that requires patience, compassion, and respect for the sensitive nature of the situation. 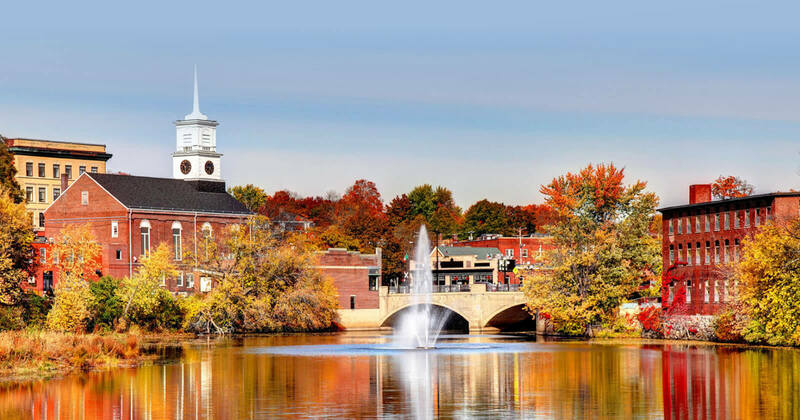 At the Law Office of Joseph M. Annutto in Nashua NH, our attorneys understand the complexities and the importance of any case involving children. We work diligently to protect our client’s rights and pursue the most fair and just resolution for any support case. Once residential responsibility of children is established, the question of child support is typically addressed. New Hampshire has a formula for calculating support based on the number of children, monthly gross income of parents, health insurance costs, and childcare expenses. The Court will order child support as set by the formula unless special circumstances exist that would justify deviating from the child support guidelines. Child support orders may be modified every three years or more often if a substantial change in circumstances has occurred. A substantial change in circumstances may be changing jobs, becoming unemployed, relocating out of state, or the changing needs of the child. If a parent does not pay the support obligation, a motion to the Court may be needed to enforce compliance. The Law Office of Joseph M. Annutto can help navigate a sensitive and complicated child support case. Our firm takes the time to understand your situation and will give your case the personal attention and time needed to protect you as a parent and protect your child, too. Our firm knows what is at stake and will work diligently to assist you in getting the resolution you need. Contact us today! Parenting time is the new term used in New Hampshire instead of “visitation.” A Parenting Plan may include a schedule for the non-residential parent to have parenting time with the child. Enforcing or obtaining parenting time can require legal intervention. While a parenting plan may have been drafted as part of a divorce or earlier parenting agreement, later modification of parenting time may be appropriate. If you have a parenting concern, you need an attorney who will dedicate the time necessary to fight for a fair and just resolution while handling the case with sensitivity. The Law Office of Joseph M. Annutto can be your resource for any new or ongoing child visitation issues. Families change and evolve over time and so must a parenting plan. What worked one year may not be feasible or appropriate the next year. Periodically revising the parenting plan is a common part of the co-parenting process. If these changes cannot be resolved directly by the parties, our firm can help. We can negotiate and draft a parenting plan that addresses all of your needs and the needs of your child. The attorneys at the Law Office of Joseph M. Annutto can be your partner in navigating the unique situations that present themselves in your family. We have the experience and problem solving skills to find resolutions when one may not seem obvious. If negotiation fails, we will diligently fight to protect your rights as a parent and the time you and your child need together. Let us hear the details of your parenting issues and see if we can provide a solution that works best for your family. Divorce, parenting and other family law matters can be time-consuming, expensive, and contentious. For some clients, litigation is the only way to resolve conflict or reach an agreement. Others may find the collaborative law process beneficial. Collaborative law is an elective process that occurs largely outside of the Court. The divorce attorneys at Annutto Law Office have the skills and experience necessary to make the collaborative process work for you. The first requirement of collaborative law requires both parties to agree to participate in the process. After participation is agreed upon, the parties meet, together with their attorneys, to negotiate and solve the issues between the parties. Both sides are heard and get to have their ideas considered in a dignified and respectful setting. Collaborative law attorneys utilize effective communication and negotiating skills to ensure the process goes smoothly and to explore workable solutions to the problems at hand. In family law, there are a number of issues that may be resolved more effectively through collaborative law rather than through costly and lengthy litigation. Disputes over property division, parenting, alimony and spousal support, and periodic modifications to existing agreements are all good candidates for collaborative law. There are a great many benefits to the collaborative law process. One of the greatest benefits is the avoidance of litigation. Litigation can become adversarial quickly and may lead to a breakdown in communication overall. With collaborative law, both sides feel heard and can walk away knowing their concerns were addressed in a fair and constructive way. It also allows for private resolution of family law matters. Litigation in family court is part of public record and this can include support amounts and property division details. In order for the collaborative law process to be successful, attorneys who are highly trained and whom have the necessary communication and negotiating skills are needed. At the Law Office of Joseph M. Annutto, attorneys experienced in the collaborative law process can be your greatest resource during a difficult time. We have the compassion, understanding, and effective communication techniques proven to garner results. We will take the time to listen to your needs and find a way to best relay those needs to the other side. We will also work diligently to find innovative and creative solutions that work for your situation. Let us hear the details of your family law issue and see if the collaborative law process may help you get the resolution that works best for your case. When one party does not comply with a Court Order, a motion for contempt can be filed requesting a contempt order. Contempt in a family court case can come about for any number of reasons including non-payment of alimony or child support. If you have been charged with contempt or need to file a contempt order in New Hampshire, you need an attorney who has the experience and dedication to follow through to get the results you need. The family law attorneys at Annutto Law Office can be your source for legal guidance as you face a contempt issue. In order to be found in contempt of a Court order, a judge must make a finding that you have willfully disobeyed a provision of the Court’s order. There are many issues that may lead to the filing of a Motion for Contempt. Some of common examples include failure to abide by a child support or alimony order, failure to follow a parenting plan, ignoring an order to sell a house as part of a property division agreement, or failing to follow an order to pay attorney fees. There are serious consequences for not complying with a Court’s order. The party filing the motion can request attorney’s fees ordered be paid as a result of a finding of contempt, additional fines imposed on top of the already ordered obligations, and even jail time is a possibility. If you are facing a contempt charge, it is vital that you have legal assistance to explain the reason or cause of non-compliance. There are times when a loss of a job, relocation, or other situation leads to non-compliance of a court order. If certain standards are met, a modification may alleviate the contempt complaint. Contempt should be taken seriously by all parties. The Law Office Joseph M. Annutto can help you face or file a contempt complaint. We can assess the initial order and ensure it is upheld or modified as needed. Our attorneys understand the importance of court orders and how non-compliance can be disruptive and detrimental to anyone involved, especially if the order involves financial support. We will review your case and work to resolve the problem in a way that suits the needs of everyone affected. Let us help you handle any contempt complaint and get the fair and just outcome you deserve. In New Hampshire, the term custody is no longer used in divorce and parenting cases. In its place, the Court now adopts a Parenting Plan that provides for an allocation of decision making responsibility and residential responsibility for the parties’ minor child or children. In creating a Parenting Plan, the Court is guided by the state’s policy contained in NH RSA 461-A: 2 which supports both parents having stable and meaningful involvement in children’s lives. Major decision making responsibility is either allocated as joint decision making responsibility to both parents or sole decision making responsibility to one parent. Major decisions generally cover decisions regarding children’s education, non-emergency medical care, and religious education. In most cases, joint decision making responsibility is awarded to the parents. There are some cases where joint decision making responsibility is not appropriate. This may be the case if there is a history of domestic violence and there is a power imbalance in the parents’ relationship where it is not possible for the parents to make decisions jointly. In addition, if the parents live far apart and do not have good communication, a Court may award sole decision making responsibility to the parent with the child in their care the majority of the time. Generally, each parent is awarded the ability make day-to-day decisions for the children during his or her parenting time. This includes the right to make emergency decisions for the child until the other parent is able to be notified. The attorneys at the Law Office of Joseph M. Annutto can assist you in discussing the particular facts and circumstances of your case to determine what decision making responsibility option would be in your children’s best interest. In a standard Parenting Plan, there are three options for residential responsibility of children: sole residential responsibility to one parent, primary residential responsibility to one parent with parenting time awarded to the other parent, or shared residential responsibility where both parties have equal or approximately equal parenting time. Sole residential responsibility of one parent is rarely awarded. This is the situation where one parent cares for the child and the other parent has little to no contact with the children. This option may be used where a parent is incarcerated or is a physical danger to the children. Even though a parent may be a physical or emotional danger to the children, there is the option of supervised parenting time to ensure the safety of the children while still providing a parent with contact with the child. Primary residential responsibility means that primarily one parent cares for the child, and the other parent has parenting time with the child at times designated in the Parenting Plan. That parenting time is detailed in the space provided in the Parenting Plan. This time can be a specific schedule, i.e. every other weekend from Friday at 6 p.m. to Sunday at 6 p.m., or it can be more flexible, i.e. two overnights per week as agreed upon by the parties. The final option for residential responsibility is shared parenting time. This is selected when both parents have equal or approximately equal parenting time with the child. The Court generally looks at overnight parenting time when determining whether the schedule is equal or approximately equal. An equal schedule is where both parents have seven overnights per two week period with the child. This may be an alternate week schedule where the child is with one parent for seven days and the other parent for seven days or it may be broken up by days of the week, such as Monday and Tuesday with mom, Wednesday and Thursday with dad, and alternating weekends. Even a schedule that does not provide for exactly equal parenting time between the parents but is approximately equal, such as eight nights per two week period with dad and six nights with mom can be considered shared residential responsibility. The allocation of parenting time is relevant not only to where the child will spend time, but may also be relevant to the support paid by one parent to the other. Generally, when one parent has primary residential responsibility, the other parent will pay child support in accordance with the New Hampshire Child Support Guidelines. However, even if the parents share residential responsibility, there may be an award of child support or an allocation of the child’s expenses. In New Hampshire, parents are encouraged to negotiate a parenting plan that they feel is in their children’s best interest. The Courts acknowledge that they will never know your children better than you. An experienced attorney that is well versed in negotiating Parenting Plans can assist you in this negotiation. It is important if you decide to litigate parenting issues that you have the advice of an experienced attorney. The attorneys at the Law Office of Joseph M. Annutto have the experience necessary to advise and advocate for you in a parenting dispute. Domestic violence and restraining orders are taken very seriously by the New Hampshire family court system. Any incident of domestic violence and a restraining order that may follow can impact the lives of everyone involved in a number of ways. Because this type of incident can be emotionally challenging and distressing for all, it is important to secure trusted and compassionate legal counsel who will help you during this difficult time. The Law Office of Joseph M. Annutto can be your source for information, understanding, and guidance as you deal with domestic violence and restraining orders. Domestic violence includes threats of abuse, assault, destruction of property, harassment, or a sexual assault involving parties who have a significant relationship. This may mean the incident is between spouses, ex-spouses, dating partners, co-parents, household members, or other blood relatives. When police respond to a domestic violence call, they will assess the situation for the above factors and can make an arrest. If the police make an arrest, bail conditions containing a restraining order will be issued. This order will be enforceable until a court hearing. Even if police are not involved, any individual can file a civil domestic violence or stalking restraining order through the Court. The request for a civil restraining order will be evaluated by a judge. If the Judge feels that the Plaintiff has met the statutory requirements to obtain a restraining order, the Judge may issue a restraining order immediately without the Defendant presenting any evidence. A restraining order or bail conditions containing a restraining order can require the person served to leave a shared home, hand over any fire arms, and make orders regarding contact with minor children. The person served cannot contact the other party or show up at that person’s workplace or school. Any contact, further threats, or violence can result in criminal charges. This can lead to jail time and greatly impact any family court issues, such as divorce or parenting issues. If you have been served a restraining order after a domestic violence incident or need representation as you file for one, you need to have trusted advice and current knowledge of the law. Our firm specializes in helping families during these tumultuous times. We have the compassion and skills needed to ensure the best possible resolution and will protect your rights throughout the process. No one should live in fear as everyone deserves to feel safe and secure. Also, anyone who has committed domestic violence and is dealing with the aftermath in the court system has rights and deserves protection. With our firm on the case, you can rest assured the facts will be investigated and you will be protected in every way. We will dedicate the time and resources necessary to ensure you get the best possible resolution so you can move forward. New Hampshire recognizes the special relationship between grandparents and grandchildren. Grandparents have rights that are protected by statute in New Hampshire. However, exercising and protecting those rights can be difficult for some. If you are a grandparent seeking to protect your relationship with a grandchild or need legal help reestablishing that relationship, the Law Office of Joseph M. Annutto may be your best resource for help. While the relationship between grandparents and grandchildren is regarded in high esteem and as important in the lives of most children, parents do have the legal right to keep their children from visiting grandparents. Fit parents have the legal right to decide with whom their children spend time. If the parents are married and have legal custody and decide they do not wish to keep contact, the grandparents may be unable to pursue the matter through the Courts. Although parents have legal control over their children, there are circumstances under which grandparents can petition for legal visitation with grandchildren. If the parents are divorced and one parent is inhibiting grandparents from maintaining a relationship, a petition for visitation may be warranted. Death of a parent is also grounds for pursuing legal visitation if the surviving parent tries to interfere with or extinguish the grandparent and grandchild relationship. Another reason a petition may go forward is if there has been a termination of parental rights and grandparents wish to seek guardianship or visitation. As with any custody or visitation situation, the pursuit of a petition may be emotionally distressing for all involved. Cases involving grandparents’ rights need time and attention from a skilled and compassionate attorney who will handle the case with the sensitivity it deserves. Annutto Law Office handles delicate cases of this nature and is dedicated to protecting and fighting for clients’ rights. The attorneys at our firm work diligently to ensure fairness and justice in the family court system. We know what is at stake when children and grandparents are involved. Let us hear the details of your grandparents’ rights case or situation and see if we can help you get the resolution you need. Any divorce can be distressing and painful to endure. Regardless of the situation, there is a great deal of upheaval and change that follows the dissolution of a marriage. If the split is considered a high net worth divorce, the process can be even more contentious and complicated to navigate. The Law Office of Joseph M. Annutto has skilled and aggressive divorce attorneys who can handle the demands of a high net worth divorce. A divorce is considered high net worth if there is a great deal of wealth and assets involved. The first step to handling a high asset divorce is to determine the value of assets and locate any possible hidden assets. Accounts and property may be unknown to one spouse. A forensic accountant and other professionals may be needed to investigate and valuate the true worth of assets and property. Disputes over what constitutes marital property may also need to be addressed. Equitable distributionbecomes more difficult when there are more assets to take into consideration. A high net worth divorce can take longer and entail much more investigation and negotiations compared to the average divorce in New Hampshire. It is important to have an attorney who has the resources needed to handle the details of a high net worth divorce and to have an attorney who will give the case the personal attention needed. Business ventures, retirement accounts, investments, and real estate may all need to be negotiated and addressed individually. The resolution of a high net worth divorce may require aggressive negotiations and litigation to protect your rights and your share of marital property. You need an attorney who can tackle the job and dedicate the time and resources to ensuring you get the fair and just settlement you deserve. 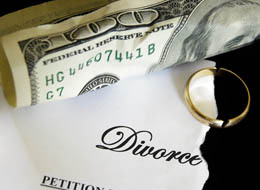 The divorce attorneys at Annutto Law Office can handle the complex high net worth divorce with vigor and determination to get the resolution you need. There is too much at stake to not invest in trusted and experienced representation to help you through this difficult time. We understand the process and how much a less than desirable outcome can impact your lifestyle, finances, and your future. If you are embroiled in a high net worth divorce, let us see what we may able to do for you. Any divorce can be an emotional and trying journey, even when it is wanted by both sides. Divorce does not have to always be a battle that leaves all parties anxious, stressed, and financially strained. It also doesn’t have to be a public event that results in information about property and support being part of the public record. A mediated divorce can be the quickest, most cost-effective and least contentious way to dissolve a marriage. The mediators at The Annutto Law Office can mediate your divorce and help you move forward onto a new chapter. Mediation works well for couples who have a low level of conflict and who want the most cost-effective and amicable split. Mediation is one way to avoid litigation where the parties have control of the process and decisions made rather than leaving both to the determination of a Judge. In New Hampshire, mediation will be ordered as part of any divorce involving minor children unless there is a restraining order or a history of domestic violence. In addition, even in cases not involving minor children, Judges will strongly encourage parties to participate in mediation. One benefit of mediation is that both parties get to be heard and typically leave the situation feeling respected and comfortable with the results. A mediator will take each issue and put forth creative solutions that may resolve the parties disputes. Property division, child support, parenting, and alimony may all be decided through mediation. Any other issues or concerns can also be addressed and resolved. The key to successful mediation is to trust the experience and guidance of the mediator and to have your own legal advice. Patience is also needed as issues need to be dissected and both sides need the time to express what matters most to them. The Law Office of Joseph M. Annutto has the experience and understanding needed to guide the mediation process for any couple. Our firm can help you through this journey so you can move forward with a sense of satisfaction. An agreement that works in the best interest of both parties is possible with time, effective communication, and a respectful environment. Before assuming divorce has to be a battle and time-consuming, let us explore the details of your unique situation and see if our mediation skills may be the tool you need to begin to put a divorce behind you. Contact us today. When a Court Order is issued in family court, the order is binding by law. However, there may be circumstances that render that order outdated, inappropriate or useless. Circumstances may also change in a way that means the order can no longer be upheld by either or both parties. If an order needs to be adjusted or can no longer be upheld, a modification may be sought. The modification process can be complicated and time-consuming. If you need to seek a modification of a court order or wish to fight a modification, you need legal counsel who has experience handling modifications. The attorneys at the Law Firm of Joseph M. Annutto can get the results you need for a modification case. A modification can be sought for a number of reasons. Child support orders can be modified every three years or based upon a substantial change in circumstances. 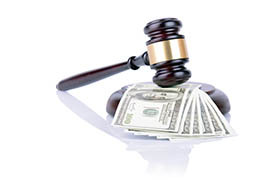 One party may seek to modify spousal support or alimony if there has been a change in income. It is important to note that alimony orders can only be modified for up to five years from the date of a final order or the final payment of alimony. If you are considering an alimony modification, it is important to speak with an attorney right away. Parenting orders may be modified in certain circumstances. A modification may occur based on a change in parents’ work schedules, relocation, the preference of a mature minor, or concerns about children’s safety when with the other parent. If you want to seek a modification, you need an attorney who will dedicate the time necessary to gather evidence or documentation proving a need for the modification. You also need an attorney with negotiating skills who can work towards a resolution that is agreeable to all involved. Our law firm can dedicate the time needed to ensure a successful modification process. We will use our experience and skill to avoid litigation as much as possible. If litigation is needed, our attorneys will fight vigorously to get the modification approved or contest the modification you oppose. We know the importance of a modification and how any kind of change in a court order can impact your life in a number of ways. When you are faced with a modification case, turn to our trusted and dedicated attorneys to help you navigate the situation and get the fair resolution you need. Legal agreements between a couple before or during a marriage can be highly personal and complicated. Prenuptial and postnuptial agreements can impact the lives of a couple immediately and in the future. Any couple venturing into an agreement before the wedding or after should have individual legal representation to ensure fairness and to ensure the rights of both parties are respected. Both agreements should be entered into only after his or her legal representation has reviewed the agreement and effectively negotiated any points of contention. The wishes and concerns of both parties should be made clear and both parties should feel protected as the agreement is drafted and implemented. 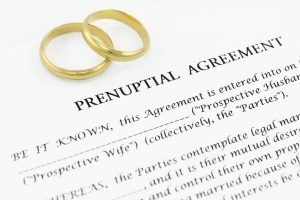 A prenuptial agreement is drafted before the marriage. The agreement typically outlines financial matters, such as a settlement if a divorce occurs. Prenuptial agreements can also affects the rights of spouses upon the death of their spouse. For some, a proposed settlement or alimony plan may increase as the marriage lasts past certain milestones. An outline of premarital property may also be included. If one party owns a business, a prenuptial agreement may establish that business as separate property not to be divided. More personal matters, such as who will pay certain bills and certain expectations, may also be outlined. Regardless of financial standing before a marriage, a prenuptial agreement may outline expectation of future wealth through an inheritance or investments. This agreement is essentially meant to ensure both parties are on the same page before a marriage begins. A postnuptial agreement is drafted during the marriage and is designed to set terms which would ensure the marriage continues to go forward. As a marriage evolves, there may be situations that need to be addressed. If one party decides to begin a business or invest in a business and the other spouse doesn’t want to be responsible for the liability, a postnuptial agreement can outline that kind of plan and protection. If major lifestyle or financial changes occur, a postnuptial agreement may address those changes and how each party will be impacted. Budget issues and marital responsibilities may also be addressed in a postnuptial agreement. Another example may be if one party wants to stay home to raise a family and gives up a lucrative career as a result, an agreement may promise compensation for that lost income if a split occurs or as finances allow in the future. The purpose is to generally protect the relationship and the individuals involved. Both agreements can be customized as a couple sees fit. If you need either or want guidance before entering into either a postnuptial or prenuptial agreement, it is vital to have trusted and experienced counsel from the Law Office of Joseph M. Annutto by your side. Our lawyers can protect your rights and negotiate the fairest agreement for your situation. These agreements are also highly personal and require discretion and sensitivity. Our lawyers can be your source for support, understanding and comprehensive representation as you move forward with a prenuptial or postnuptial agreement. A Qualified Domestic Relations Order is part of a divorce settlement. When a couple is divorced and there are retirement accounts that need to be divided, a QDRO is often needed. Without one, someone may be giving up all rights to accounts he or she has a legal right to have split between both parties. Any property division during a New Hampshire divorce may be complicated and retirement accounts may make the process even more complicated. If you are divorced and need a QDRO prepared, you need an experienced lawyer to help you draft and file a QDRO. The Law Office of Joseph M. Annutto can help you with the process and ensure you have access to the retirement funds that you have been awarded. A QDRO is a legal document needed to transfer ownership of certain retirement funds from one spouse to the other and avoid tax implications. The company through which the account exists needs to approve the document. Once approved, it will be necessary to decide how you wish for the funds to be distributed. The typical options may be to have the funds given as a cash payout or distributed in the form of monthly payments. You may also have the funds added to an existing 401(k) or IRA. One thing to note is that the person receiving the funds will also be responsible for any penalties that may result from early withdraws. Giving up a portion of retirement funds can greatly impact the quality of life for someone who is newly divorced. A couple may have worked hard to invest and ensure growth of those funds as retirement nears. It is your right and obligation to protect your financial future through the use of of QDRO to access retirement funds awarded to you. The Law Office of Joseph M. Annutto has the experience needed to assist in preparation of a QDRO and ensure you get the results you need from all property division decisions. Our firm will give your case the personal attention needed to ensure you make the best decision regarding distribution of funds. We know what is at stake and will work tirelessly to make sure all paperwork is filed and you get the best resolution for your case. New Hampshire is an equitable distribution state. This means all martial property will be divided equally unless other factors exist that would make an unequal division more equitable. While the law may be clear, splitting actual property may be more difficult than a couple can imagine. The designation of what constitutes marital property may even be questioned. In addition, property divisions are often non-modifiable post-divorce, so if you are questioning a property division now is the time to speak with an attorney before the Court has issued order or you have signed an agreement. If you are in the middle of a divorce, you need an attorney who can specifically address your unique property and assets division needs. Each situation is vastly different and the outcome of property and asset division cases reflect how different each situation can be. Our firm understands the stress and anxiety that may encompass the outcome of these decisions. Our attorneys have the negotiating skills needed to find room for compromise and save clients time and worry. We can help find a middle ground and draft an agreement with which both parties can feel comfortable. If an agreement cannot be negotiated, we will fight to protect and secure assets you deserve. Our firm can investigate the true value of assets and fight to ensure all marital assets are handled fairly. Your financial future may hinge on a fair and just property and asset division decision. 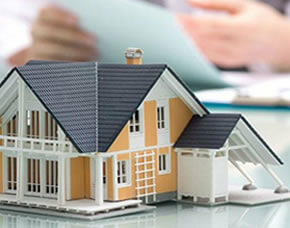 Let us evaluate the property and assets in question and devise a strategy to maximize the outcome in your favor. We will dedicate the time and resources needed to make sure your divorce and property division issues are resolved quickly and with your future needs in mind. When both parents are involved in the parenting of their child, they benefit from a parenting plan which includes detailed responsibilities and obligations. If a parent plans to relocate for work, school, remarriage, or another reason, your parenting plan may already govern what a parent must do to accomplish relocation. That parent may need to gain permission from the court if he or she plans to take the child on the move. If the other parent opposes the move because of the impact on the child or visitation, that parent may seek legal action to stop the relocation. Regardless of which side you may be on when it comes to a parental relocation issue, you need experienced and compassionate legal support. The Annutto Law Office can help. The family court system in New Hampshire works diligently to ensure the best interest of children is upheld and taken into consideration anytime a dispute arises. The court system strongly encourages to work together to adjust parenting plans if there is a relocation of one parent. However, if that fails, litigation may be necessary. The Courts take a number of things into consideration before ruling to approve relocation and parenting plan adjustment. There must be a legitimate need for the relocation of the child. There must also be reasonable notice for the relocation or removal of the child from the area. The relationship between the child and parents is also considered, as is the child’s access to schooling and healthcare. The move may alter parenting time and affect the child’s ability to spend time with extended family, which will also be considered by the court. If there are any special needs, how those needs will be addressed when a child moves will be determined and weighed. The additional travel expenses of one parent to spend time with a child may also be part of an agreement or order pertaining to relocation and removal. The issue of relocating a child or removing that child from the state can be stressful and overwhelming for all involved. Our firm understands the sensitivity and importance of any parenting order. If you are trying to relocate with a child or are fighting relocation, you need to be heard and you need trusted legal help by your side. The Annutto Law Office will listen to the details of your case and fight to help you get the resolution you need. We will explain the positives of your position and work to prove the best interest of the child involved. With our help, your relocation or removal case can be handled smoothly and fairly, with your needs addressed and respected in family court. Restraining orders are taken very seriously in New Hampshire. If you need to file for one or have one filed against you, it is vital that you have the guidance and support of a trusted and experienced attorney. The Law Office of Joseph Annutto can help you deal with a restraining order as you try to move forward from a difficult time. A restraining order in NH can be issued against someone with whom there is an intimate or significant relationship. This may be a spouse, ex-spouse, co-parent, dating partner, member of the household, or a blood relative. If you are assaulted, harassed, threatened, your property is destroyed or you are being stalked, you may be entitled to file a restraining order with the Court. If the Judge finds that you have met the statutory requirements for a restraining order, a temporary restraining order may be issued. Once a temporary restraining order is issued, a hearing will be scheduled where a judge will hear details of the situation and determine if a long-term order is warranted. A court can impose a restraining order for up to one year if the judge feels it is necessary. At the hearing, both sides are able to present their case and version of what happened. This can be an emotional and distressing event. It is important to have a clear-headed and dedicated attorney by your side to explain the process and prepare you for what may occur. A restraining order can be life-altering for all involved. The person served with an order may have to leave a shared home and cannot contact the other party for the duration of the restraining order. That person cannot go to a school or workplace that the other person or shared children may be at either. Firearms will have to be surrendered also. A person with an order against him or her may also be ordered to pay support for the other person and continue to pay bills, such as the mortgage, rent, and utilities. Having an attorney who has experience with restraining orders and family law is a must. The Law Office of Joseph M. Annutto can help you understand your responsibilities and rights when facing an order or filing an order. Our firm knows these types of cases require understanding, compassion, and sensitivity. A restraining order can also impact your career and reputation. Our firm is dedicated to helping you defend yourself or present your side in the best possible light. We will work to minimize the disruption in your life and the impact an order may have on everyone involved. Let us hear the details of your case and see what kind of help we may be able to provide during this trying time. A divorce can be a stressful and overwhelming time for couples, even when it is wanted by both people. There are many decisions to be made and each one can be life-altering for the parties involved. It is important to go about the divorce process with a clear idea of what to expect and what the possible outcome may be. The Law Office of Joseph M. Annutto has skilled attorneys who can negotiate on your behalf and who will fight to protect your rights and assets as a divorce moves forward. In New Hampshire, a fault or no-fault divorce can be pursued, but most are filed as no-fault. A fault divorce is harder to pursue and certain criteria must be met, such as proving adultery, cruelty, or abandonment. New Hampshire also has a residency requirement of up to one year before someone can file for divorce in the state. The methods of reaching a divorce settlement can be varied and can include negotiation, mediation, collaborative law, and litigation. With skilled negotiations, many of the details of a divorce can be worked out quickly and privately. Prenuptial agreements or postnuptial agreements will be reviewed and applied. Negotiations may help couples reach an equitable division of property. Not all property can be split down the middle. If an agreement about the fate of property, such as a house, cannot be negotiated to agreement, a judge will listen to both sides and make a decision. The timeline of the entire process can vary depending on the unique situation of each couple. If a couple has few assets to divide, no children, and both want the divorce, it can be few months before finalization. If it is a high net-worth divorce or there are complicated child custody issues, the divorce process can take much longer. For many, mediation and collaborative law can provide speedy results all parties are comfortable with but litigation may be needed for others. Regardless of the best method and timeline of the divorce process, you need insightful and practical guidance. You also need an attorney by your side who can remain focused on your case and clear-headed about how to proceed. The Law Office of Joseph M. Annutto has the supportive environment and understanding needed to pursue a divorce that addresses your needs and secures your rights. Our firm knows what all may be at stake and will take the time to investigate your situation and fight for the resolution you need. We know no two divorces are alike. This is why you can count on us to provide continuous support. Our firm can give your case the individual attention it requires so you can move forward after a divorce. Legal assistance and guidance is recommended for virtually every legal situation. This is particularly true when it comes to matters in the family law court system, although full-time representation may not be needed or affordable for some. In New Hampshire, limited representation is an option when legal services are warranted but keeping an attorney on retainer isn’t feasible or necessary. The limited representation options at the Law Office of Joseph M. Annutto can help clients get the help they need on their own terms and at an affordable rate. The process of securing limited representation starts with an agreement between the attorney and the client. There are basic guidelines and expectations that must be agreed upon before an attorney will go forward. The exact role an attorney will play in a case and what services that attorney will deliver need to be clear for both parties. A fee for the services will also be determined. This kind of representation gives a client the freedom to customize legal services and control the cost of those services. At the Annutto Law Office, we understand that each case is unique. Legal hearings and court procedures are not a one-size-fits-all environment and clients may have an understanding of what services they need most. The cost-effectiveness of limited representation can be of great benefit to anyone who has an upcoming hearing or court date. Family law can be complicated, but those who are experienced with the system and who know what parts of the legal process they need the most assistance with may find limited representation to be the key to a successful outcome. Let us hear the details of your situation and see if a custom approach to limited representation may be what you need. The family court system in New Hampshire works diligently to ensure the best interests of children are upheld. Part of ensuring the best interest of a child as understood by the courts may include the use of a guardian ad litem. A guardian ad litem essentially represents the child and prepares a report for the court. The Law Office of Joseph M. Annutto can provide guardian ad litem services for your family law case. A guardian ad litem, or GAL, is a specially trained individual approved by the State of New Hampshire to represent the interests of a minor child. A guardian ad litem may be appointed during divorce case or parenting cases where there are unresolved issues such as residential responsibility, decision making responsibility, parenting time, or relocation of a child. A GAL will investigate the concerns of the parents and the Court. A GAL’s investigation will often include interviews with the parents, family members, significant others, teachers, clergy, and doctors. The GAL will also spend time with the child as well. Any counselors may be interviewed along with any other person who has a close relationship with the child and parents, such as a babysitter. School records and counseling records may also be reviewed. The GAL then takes this information and writes a report outlining what she or he believes to be in the best interest of the child. If a trial is held, a GAL will often testify. The job of a GAL is a very serious part of the family law system in New Hampshire. Our firm understands the importance of this role and how life-altering the outcome of any family case may be for those involved. Our attorneys are experienced working with GALs and can help you determine if a GAL is appropriate in your case.